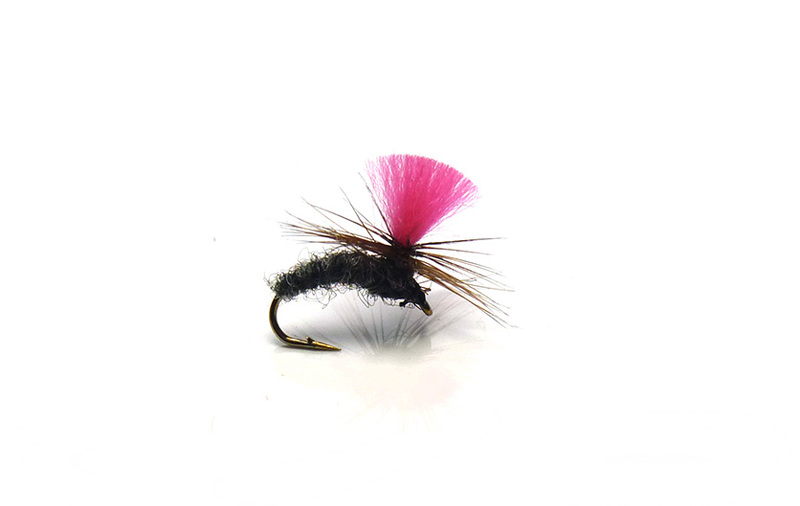 The Black Klinkhammer is definitely an essential fly for all river and stillwater anglers. This excellent fly pattern was invented by the innovative Dutch fly-tyer Hans Van Klinken as an emerging sedge imitation. The fly, which hangs down in the water supported by its parachute hackle is a superb trout and grayling fly.